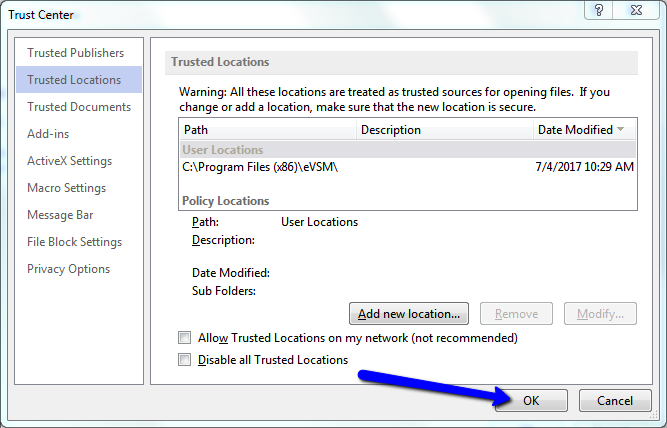 This page shows you how to add the eVSM installation folder to the Visio trusted locations list. 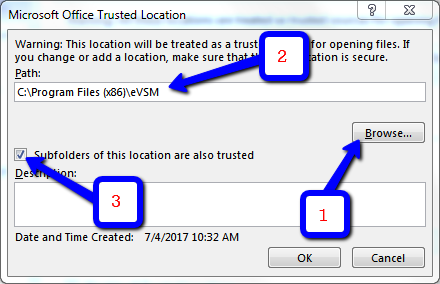 Here are the steps to follow. 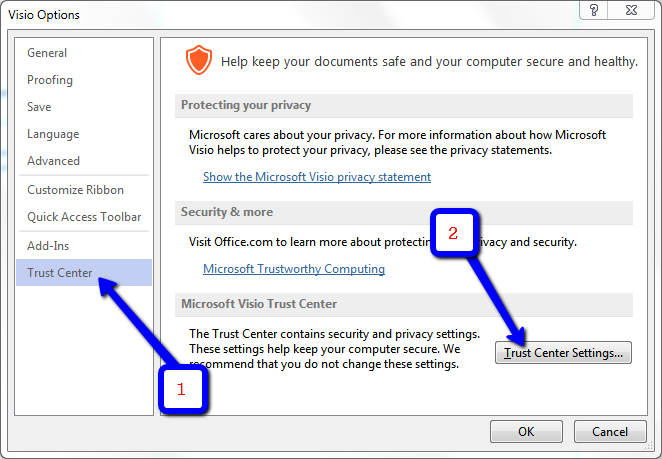 Click "File>Options>Trust Center>Trust Center Settings..."
Click "Trust Center Locations > Add new location..."
The changes will be active next time you start Visio. Response within ONE business day.